Cloudy in the evening with scattered thunderstorms developing after midnight. Low 69F. Winds S at 10 to 20 mph. Chance of rain 40%. Josiah James is a consensus five-star recruit and only the second player from the Charleston area selected to play in the McDonald's All-American game. But is James the best high school basketball player ever to come out of the Lowcountry? Here’s The Post and Courier’s lineup of the best former high school basketball players from the Lowcountry, listed in chronological order. The Skinny: Watson was a tenacious defender and lightening quick. He was nearly impossible to guard in a man-to-man situation. Watson led Burke to two state final appearances before spending a year in prep school before going to South Carolina, where he was a three-time All-SEC pick and finished his career as the Gamecocks' all-time leader in starts (116), assists (547) and was fourth in steals (194). He scored more than 1,400 points for USC. Watson also played six seasons of professional basketball in Europe. The Skinny: Johnson, who was named The Post and Courier’s Male Athlete of the Year in 1992, led Stall High School to the Class AAA state final in football during his senior season. After redshirting at College of Charleston his freshman year, Johnson helped lead the Cougars to a 101-17 record during his four years with the program. The Cougars made two NCAA Tournament appearances and recorded a win over Maryland in the Southeast Regional. He was named the 1997 TAAC player of the year and was taken in the second round of the 1997 NBA draft by Sacramento. Johnson played 13 seasons in the NBA with six teams. The Skinny: Eidson was crafty, smart, and a coach’s son, playing for his father Pat at Pinewood Prep. Eidson was a Parade All-American and the 1999 South Carolina Gatorade player of the year. He played four years at South Carolina, finishing with more than 1,000 points and still ranks second in school history with 272 steals. Eidson played one season in the NBA’s D-League before spending nine seasons in Europe. The Skinny: A rangy guard with excellent passing skills, Everette played two season in junior college at Missouri State-West Plains. He was named a JUCO All-American and signed with Oklahoma where he was named All-Big Eight during his senior season. He was third in the nation during the 2005-06 season in assists, averaging nearly seven a game. Everette played 12 seasons of professional basketball overseas in France, Germany, Romania, Greece, Ukraine and Switzerland. The Skinny: Green was known more for his prowess on the football field than the basketball court, but led the Green Wave to the Class AAAA state title in basketball. Green averaged more than 23 points and nine rebounds a game during his senior season. He was widely considered to be a top-10 football prospect and signed with Georgia where he finished his career with 166 receptions, 2,619 yards and 23 TDs. He was taken in the first round of the 2011 NFL Draft with the fourth overall pick by the Cincinnati Bengals. He has been a seven-time Pro Bowl selection and has 602 career receptions for more than 8,900 yards. The Skinny: Middleton signed with Texas A&M coming out of high school and played for the Aggies for three seasons. He was taken with the 39th overall pick in the 2012 NBA draft by Detroit. He was traded to Milwaukee in 2013 and was named to his first NBA All-Star game this season. Middleton averaged a career-high 20.1 points a game during the 2017-18 season. Middleton signed a five-year, $70-million contract with the Bucks in 2017. The Skinny: Jennings led Pinewood Prep to four consecutive SCISA state titles. He was a two-time South Carolina Gatorade Player of the Year and was a second-team Parade All-American. 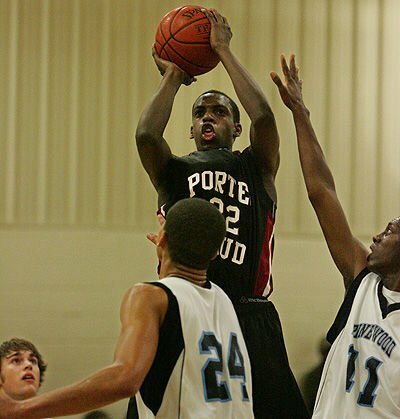 He was the first player from the Lowcountry to take part in the McDonald’s All-American game in 2009. He was rated as the No. 26 overall prospect by ESPN. Jennings finished his career with 2,536 points and pulled down 1,372 rebounds at Pinewood. He signed with Clemson but was never able to live up to his high school accolades, averaging 7.7 points and 4.9 rebounds a game for the Tigers over four seasons. He played five professional seasons in Europe. The Skinny: Ellington was a two-sport star at Berkeley, helping lead the Stags to the 2009 Division II-AAAA state title in football. He averaged 22 points, eight rebounds and six assists in basketball and was The Post and Courier’s Male Athlete of the Year. Although he signed a basketball scholarship with South Carolina initially, he played both football and basketball for the Gamecocks. As a football player, he had 106 career receptions for 1,586 yards and 16 touchdowns. As a basketball player, he averaged 11.2 points, 2.7 rebounds, three assists and one steal per game. Ellington left school a year early and was selected in the fourth round of the 2014 NFL draft by the San Francisco 49ers. He finished this past season with the Detroit Lions. The Skinny: Nesmith, who signed with Vanderbilt, was rated as a four-star prospect his senior season and the No. 69-ranked player in the country by ESPN. Nesmith helped lead Porter-Gaud to three straight SCISA state titles, averaging 21 points, 4.5 rebounds and 1.8 assists per game as a senior. He finished his career with 2,067 points. He was named The Post and Courier’s Player of the Year. Nesmith is averaging 9.9 points and has started six games for the Commodores this season as a true freshman. The Skinny: A consensus five-star prospect, James is ranked among the nation’s top-25 players by most recruiting services. James is ranked No. 21 by ESPN and as the No. 4 point guard in the current recruiting class. James signed with Tennessee. He has been named to take part in next month’s McDonald’s All-American game in Atlanta. Porter-Gaud senior point guard Josiah James had chances to go to bigger, more prestigious prep schools, but decided to return to the Cyclones for a chance at a fourth state title.